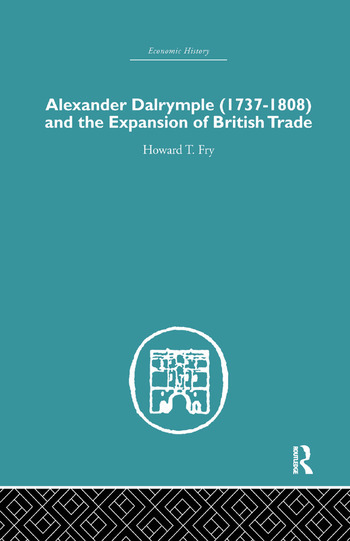 Alexander Dalrymple was once described as the man who, after Hakluyt, had done most for the spread of Britain’s commerce. In this important new work, Dr. Fry discusses Dalrymple’s extensive contribution to knowledge about New Guinea and his pioneer attempt to establish a free port on Balambangan, and shows that his interest in the possibility of a North-West Passage and his influence in government circles were to be a major factor in bringing about Vancouver’s survey. Dalrymple’s research and theories about the great Southern Continent led to his appointment by the Royal Society as commander of the 1768 expedition, and though the Admiralty countermanded this decision and appointed instead Captain Cook, Dalrymple’s geographical researches were the motivating force behind the initiation of the search for Terra Australis. Dr. Fry throws interesting new light on Dalrymple’s relations with Cook, which, he argues, have been consistently misrepresented. Dalrymple became an expert navigator and surveyor during his years as captain of East India snows, and he became in turn hydrographer of the East India Company and the Admiralty. His work in this field revolutionised chart-making and was a contribution of incalculable value to Britain’s maritime supremacy in the nineteenth century. This classic book was first published in 1970.